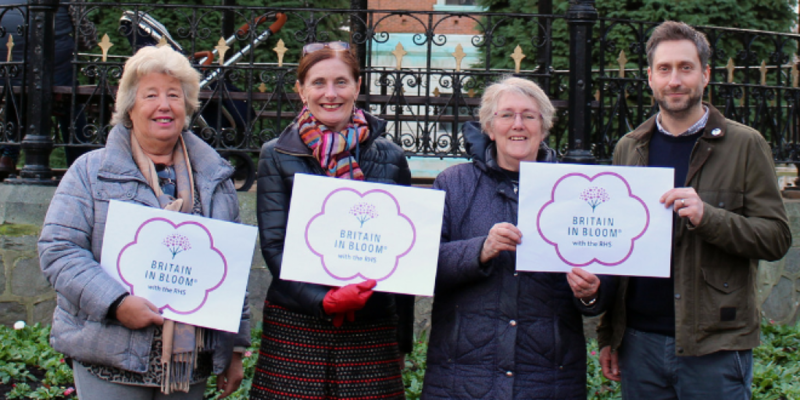 Loughborough in Bloom is hoping to strike gold again at the 2019 Britain in Bloom awards. The town has been selected to represent the region in the small city category at the national awards organised by the Royal Horticultural Society. Marion Smith, Loughborough in Bloom chair, said: “We were thrilled to find out we had been selected to represent the region at this year’s national awards, it’s an honour! Last year, Loughborough won gold at East Midlands in Bloom for the eighth time since it began competing in the competition in 2009. The town was also crowned the winners of the small city category. Cllr Jenny Bokor, lead member for Loughborough, said “Loughborough looked blooming lovely last year and to be selected for the national awards is fantastic! “I’d like to congratulate our partners, volunteers and officers and thank them for all of their hard work. Bury, Derry, Harrogate, Kirkcaldy and Rugby have also been nominated in the small city category. RHS Britain in Bloom judges will visit the town in the summer to assess Loughborough in Bloom’s work. The winners will be announced at a national ceremony in October. Loughborough previously represented the region at the Britain in Bloom UK Finals in 2014 and 2016. Loughborough in Bloom is supported by a number community groups, residents, businesses and organisations from across the town.